Twitter was alight during the United Kingdom elections, with two words leading the trend: Lord Buckethead. That’s just two words, right? Lord Buckethead was one of several people who ran for the Parliamentary seat for the county of Maidenhead, which happens to be the seat occupied by Theresa May, currently leader of the Conservative Party and more importantly, Prime Minister of the United Kingdom. Lord Buckethead, as Buzzfeed UK noted, is an obscure villain from the 1984 sci-fi comedy film “Gremloids” (or “Hyperspace”), starring Chris Elliot and Paula Poundstone. Buckethead’s Twitter biography sheds slightly more light on who, exactly, the candidate is. “Intergalactic space lord, running to be an independent Member of Parliament for Maidenhead. Enjoys planet-conquering, dominating inferior species, and Lovejoy,” the bio reads. Unfortunately for Lord Buckethead (and Elmo), May wound up winning her seat in Maidenhead with a commanding lead: 37,718 votes, to be exact. Lord Buckethead reported on Twitter capturing 249 votes on Twitter. 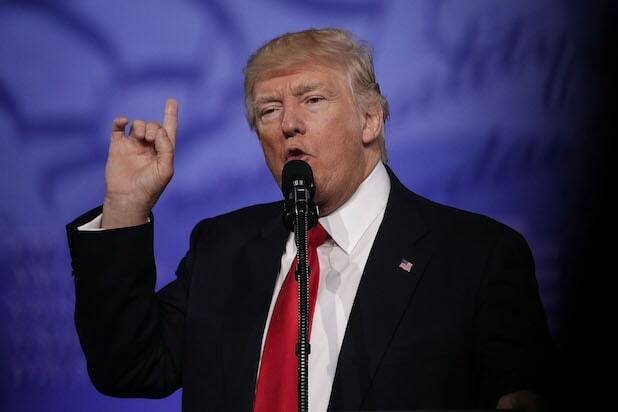 This isn’t the first time Lord Buckethead (or someone dressed as him) has run for office in the UK. A Lord Buckethead ran for Margaret Thatcher’s parliamentary seat in 1987, winning 131 votes. And either a Lord Buckethead or the Lord Buckethead ran in 1992, against Thatcher’s successor, John Major. 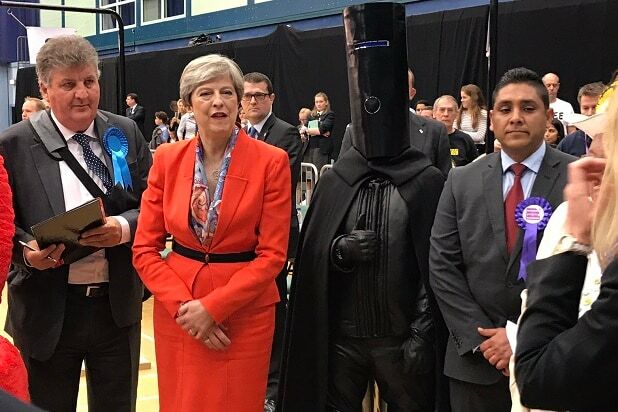 Despite losing the election, Lord Buckethead belatedly captured the hearts and minds of the Internet — mostly because photos of a villain from a 1984 movie standing with serious politicians is hilarious. At the very least, running was enough to produce this photo of a person wearing a parody Darth Vader costume next to the UK’s prime minister.